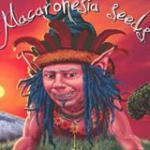 Here you can find all information about the cannabis breeder Macaronesia Seeds. We've collected data about 3 Cannabis Strains breed by Macaronesia Seeds. Click on the strains to find more informations, pictures, reviews, comparisons and sources for a variety - and/or check out the Breeder Info here at the page to find out more about Macaronesia Seeds. Its also possible to visualize all Macaronesia Seeds strains together with all their Parents or Hybrids with our dynamic maps - check it out! Click here to visualize all Macaronesia Seeds strains including all known hybrids and descendants with our dynamic map! Here you can watch all Macaronesia Seeds strains and their ancestors (sorted by origin) with our dynamic strain map! Macaronesia Seeds is a Spanish marijuana seed bank, located in Santa Cruz de Tenerife and has us purpose the preservation of the varieties of cannabis endemic, threatened and iconic of islands of the Azores, Madeira and the Canary Islands. The most representative variety is 1000l x Diesel which took first prize in 2011 Diesel Winter Cup and second prize Pro Natura Verde in 2012.